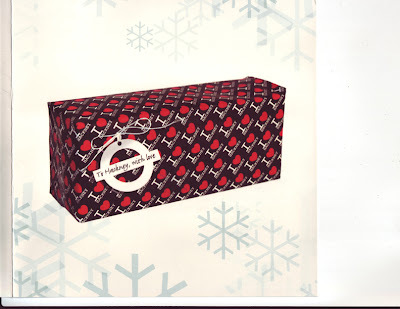 This is the 2007 Christmas Card signed and sent by the Speaker of Hackney Council. It shows a gift to the people of Hackney, TfL's railway logo and the Council's "I love Hackney" logo. Commenting on the new Dalston Junction station TfL had stated as recently as November "We'd ask you very strongly that you'd not refer to it as "the Tube"...You should not describe it as the Tube as it is not the Tube". Regretably the Council's Speaker has been sadly misinformed. The Council Speaker's misunderstanding about this is not suprising. Before the last Council elections the Labour Party described its ambitions for Dalston as including a "tube". 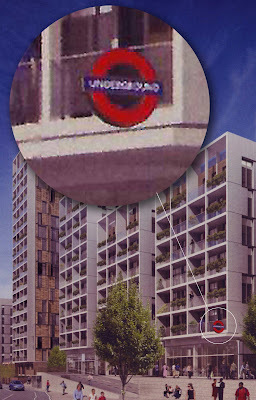 The promotional material for TfL's planning application, for its Dalston Junction towerblock development, also described it as a "tube" station, as this image from March 2006 shows. 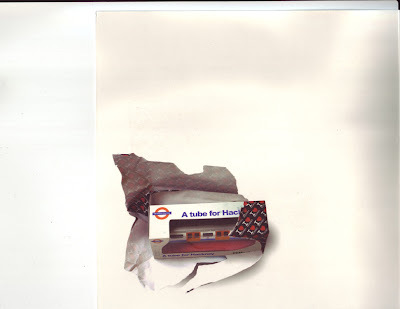 GLA Mayor Livingstone's London Development Agency also used the tube logo in the images promoting its planning application, for the Council's neighbouring Dalston Theatre site, to demolish Dalston's historic buildings and redevelop with towerblocks. 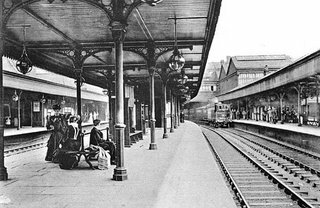 The Hackney Gazette & the Council's Hackney Today paper were also mislead and even now still refer to the proposed Dalston Junction station as a "tube" station. But despite what Hackney Council, the GLA, TfL and the LDA have all been claiming for the last 2 years, the new Dalston Junction railway station will not be a tube station. It is an overground line station, just like Dalston Kingsland. It will be part of the Overground not the Underground network. Nor does it go to the City or to the Olympic site. 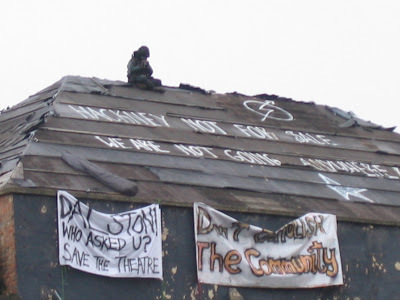 Even the Council's Deputy Mayor and Chief Whip of the Hackney Labour Party, Luke Akehurst, seems to have believed the spin when he said as recently as July 2007 "A derelict theatre or a tube station, which do you think people in Hackney want more?" 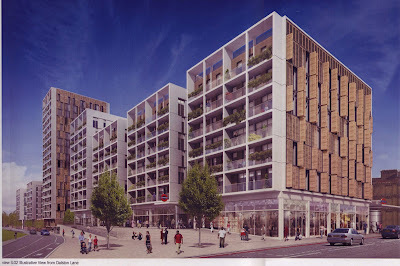 Whatever the public might have wanted, Dalston will have neither. Furthermore the demolition of Dalston's historic buildings had nothing to do with funding the new station. Funding for the East London Line Extension to Dalston had already got Government approval in the summer of 2004. 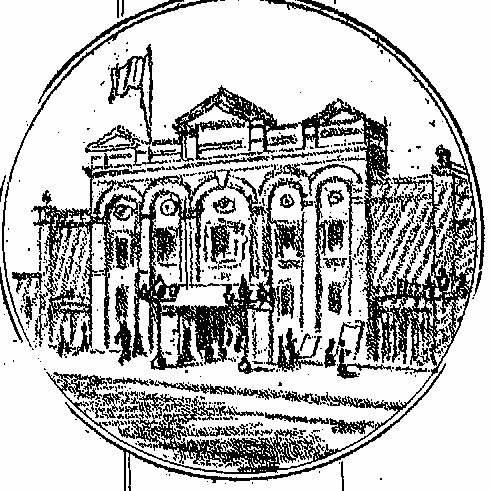 Dalston's ELLX railway station was going ahead in any event. The authorities eventually admitted in OPEN's Court proceedings that the profits, from the demolitions and building towerblock flats for sale on Hackney's site, were in fact to be used to subsidise a £39million bus station on a slab above the new Dalston Junction station. Mayor Livingstone's GLA required Hackney taxpayers, and not London communters, to pay the £19million funding shortfall. 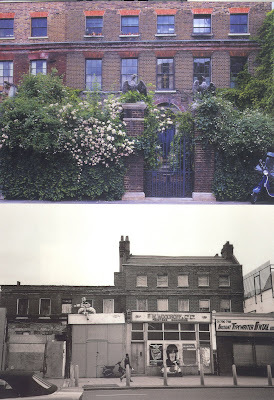 No one mentioned that Dalston's heritage buildings were to be sacrificed not to pay for a tube but for a bus station. However, now that the buildings have been demolished and the dust has settled, TfL has put new promotional material, including local childrens' paintings, up on the hoardings fronting their site. So was it a simple error that caused the authorities, including TfL, to describe the East London Line Extension as a tube? Or did they think the public might be prepared to pay a higher price if what we thought we were getting was to be the tube? 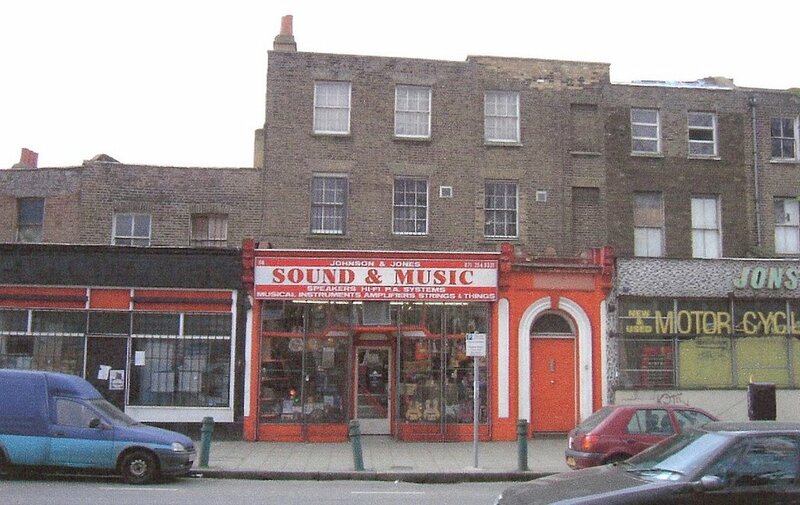 This is 60-66 Dalston Lane, part of an 1827 Georgain terrace, as it looked in March 2004 when the new owners, an off-shore company, applied for planning permission to demolish the terrace and build rabbit-hutches. "this is a strong group that has clear local history, despite the poor condition that detracts from their cohesion. 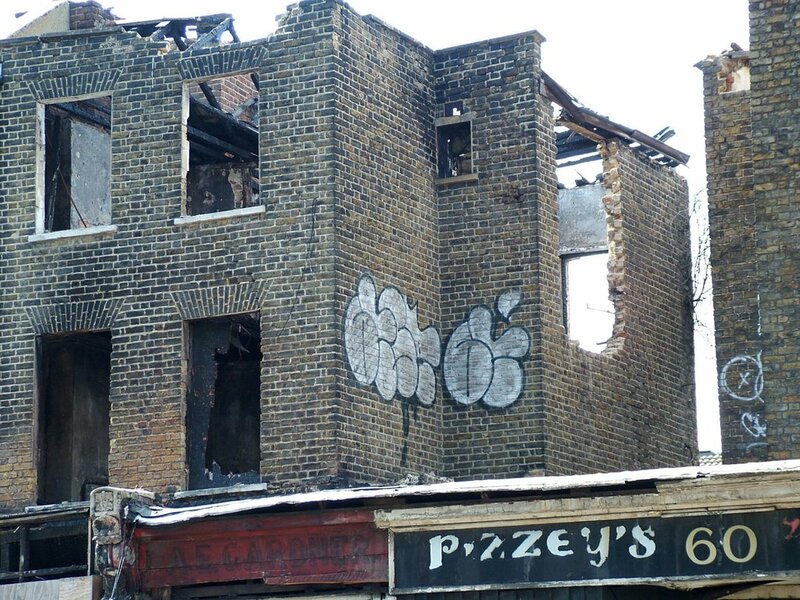 Overall the buldings make a valuable contribution to the area, representing early 19th century development in Hackney, an area that grew considerable in this period....inclusion on the local list or within a Conservation Area would be an appropriate designation and recognition of the buildings significance"
Within one month of that report there was an arson attack and 62-64Dalston Lane were burnt down. 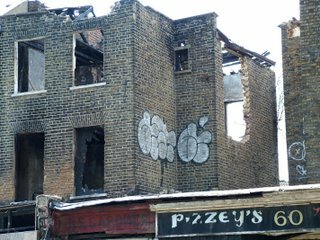 Mysteriously, bricks from the flank wall of 60 Dalston Lane, and part of the roof, were later deliberately removed. 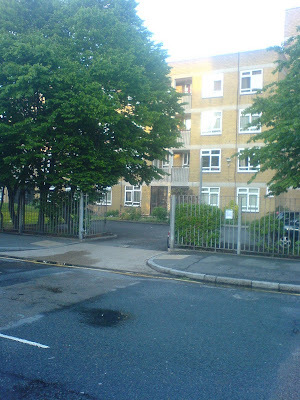 In January 2005 the Dalston Lane (West) Conservaton Area was declared. 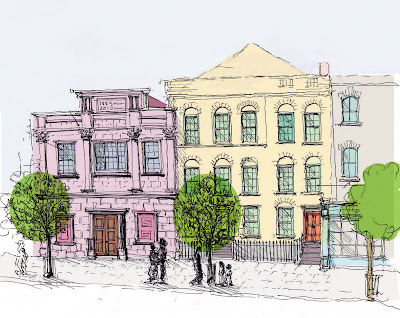 Councillor Nicholson, Hackney Council's Cabinet member for regeneration, said at the time "We're keen conservation areas are used to bring buildings back into use and create improvements to the built environment." OPEN has since then been urging the Council to take action to bring them back into use and improve the environment. 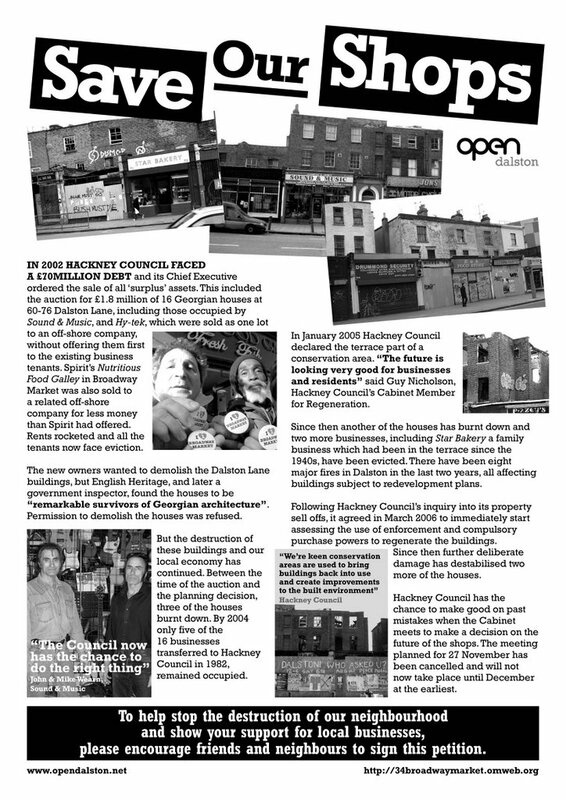 In November 2006 the Council wrote to local shops about its responsibility for and committment to "preserving Hackney's built heritage". Eventually in September 2007 the Council exercised conservation area powers to make the buildings structurally sound and watertight. But it was too little and too late. They had become struturally unstable - and so the Council has done what the owners had wanted all along. It demolished them. OPEN has asked the Council what its powers and intentions are to rebuild them. Answer came there none. To treat tenants like commodities, to be turned out of their homes so that their landlord can capitalise on the site's development potential, is bad enough. 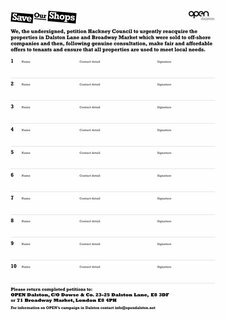 But what if the tenants are elderly and in sheltered accommadation, and the land was until recently in community ownership and the landlord is a charitable housing association? This is the situation facing the elderly tenants in sheltered accommodation at Bayton Court on the west side of London Fields, E8. 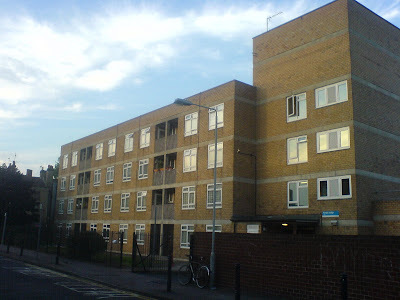 Bayton Court is one of 29 sheltered housing schemes which were transferred by Hackney Council to a "formed for purpose" charitable housing association, Hanover in Hackney, in October 2002. 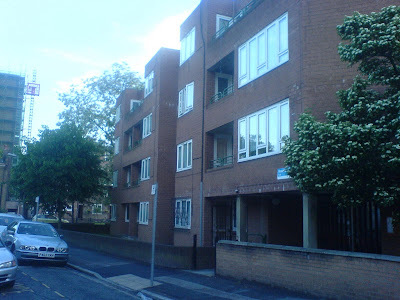 At that time it was made clear to tenants that the Council had no money to improve the run-down properties but it was promised that, if the tenants voted to transfer to Hanover, £41 million would be invested and every flat would be refurbished within 5 years and that tenant’s resident wardens and the services provided to them would remain the same. Unsurprisingly a majority of tenants voted in favour. In 2003, shortly after the transfer, Hanover undertook a review of its former Council assets and began working on realising opportunities to raise capital by the development and sale of some of its 29 properties. It commissioned architects and in January 2007 made 12 planning applications to the Council which variously involved demolition and redevelopment for private sales as well as alterations to those properties to be retained and refurbished. The specific planning application for Bayton Court is to demolish the 2-storey building of 26x1 bedroom homes and to redevelop the site to provide 16x4-bedroom houses and 2x4-bedroomed maisonettes of up to 4 and 5 storeys for private sale. 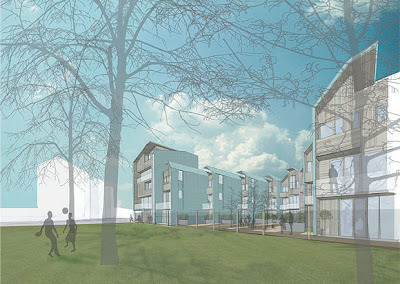 Quite apart from the need to evict & rehouse the elderly residents, the redevelopment will impact on the residents of neighbouring Blackstone Estate who lodged strong objections with the Council regarding loss of light, increased density and noise, living next to a potential car park, overlooking etc. In addition it will create significant changes to the setting and streetscape of London Fields. 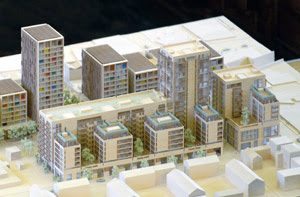 Although the redevelopment proposal for Bayton Court does not satisfy the Council’s planning policies Hanover asked that it should be considered “holistically” in the context of the 11 other planning applications made simultaneously. However, taking all planning applications together, they do not satisfy the policies either. These plans are however not the sum cause of the elderly tenants anxieties. 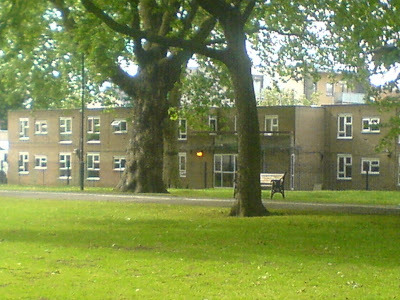 In March 2006 Hanover advised its tenants that, due to Hackney Council's requirements and government changes to the financing of its “Supporting People” programme (“it is important that efficiency savings are optimised and secured as early as possible” - Government independent review by RSM Robson Rhodes LLP Oct 2003) , it was considering replacing the resident wardens in the sheltered housing with “floating support” workers who would visit only occasionally. 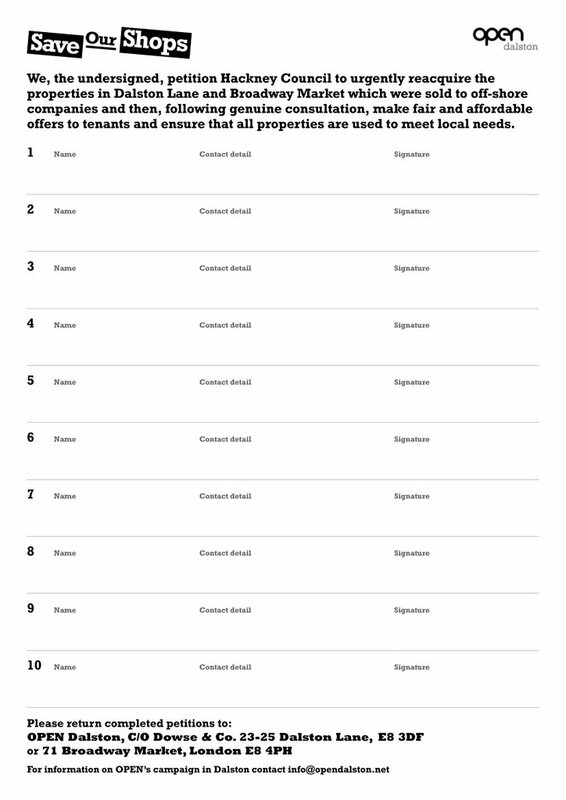 But, despite Hanover's "floating support" pilot project and its consultation with tenants remaining incomplete, none of Hanover’s 12 planning applications for redevelopment show existing resident warden’s flats and offices as retained. Hanover has recently announced that this new scheme is likely to be introduced in November 2007. 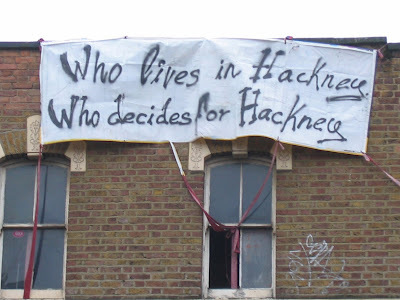 Unlike the tenant's ballot of 2002, which determined whether the property transfer away from Hackney Council would proceed, Hanover's demolition and redevelopment plans, and the loss of the sheltered housing officers, will not be the subject of a tenants’ ballot. There will be “consultation” with tenants but Hanover will have the final say. OPEN, in association with the London Fields User Group, organised a meeting at St Michaels and All Angels Church Hall 7th June 2007 which was well attended by local tenants, residents and community representatives. An outline of the schemes was presented by two of Hanover’s representatives, and its architect, and these were met with searching questions and strong criticisms on planning and moral grounds. We learned how £142,000 had recently been spent refurbishing the buildings now intended for demoltion. Hanover stated that Bayton Court had been selected for redevelopment and private sale because it is the most valuable and attractive site which it owns. Apparently too valuable an opportunity to be wasted on sheltered accommodation for the elderly. OPEN’s solicitors have requested that the Council and Hanover provide a copy of the legal agreement which they reached in 2002 which was said to guarantee that the promises made to elderly tenants at the time of the transfer ballot would be kept. Despite reminders, neither have provided a copy of the agreement. OPEN has recently been informed by the Council that all Hanover’s planning applications have now been withdrawn. It is expected that revised plans will be re-submitted in due course.